MARBELLA, Estepona and Benahavis are officially among the hottest and ‘most mature’ markets in Spain. The three towns saw sales shoot up by 11.15% in 2017 compared to the year before, exceeding pre-2007 levels by 10.4%. The rest of Spain, meanwhile, still lags 21% behind pre-financial crisis levels. The figures come from The Marbella Property Market Report 2018, compiled by Christopher Clover at Panorama Properties – Marbella’s longest-running estate agency. 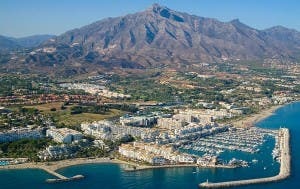 Estepona saw sales rocket by 28.3% last year, while Marbella saw a 6.9% boost. This is mainly due to Estepona having greater availability of urbanizable land, while there are delays of a year or more when applying for building permits in Marbella. Estepona is also cheaper. Demand in the most sought-after areas of Marbella is outstripping supply and in urbanisations like Casablanca on the Golden Mile, prices have almost doubled. Meanwhile, in Benahavís, 499 Sold boards went up, representing 6.7% of the total 7,487 purchases made in the three municipalities. The National Institute of Statistics (INE) has confirmed that Malaga – driven by hotspots like Marbella – had the fourth highest amount of sales last year (30,064 compared to 15,917 in the Balearic Islands), beaten only by Madrid, Barcelona and Alicante. And the sales boom is having a positive knock-on effect in attracting new businesses. In 2017 there was a net increase of 924 start-ups in the municipality of Marbella.